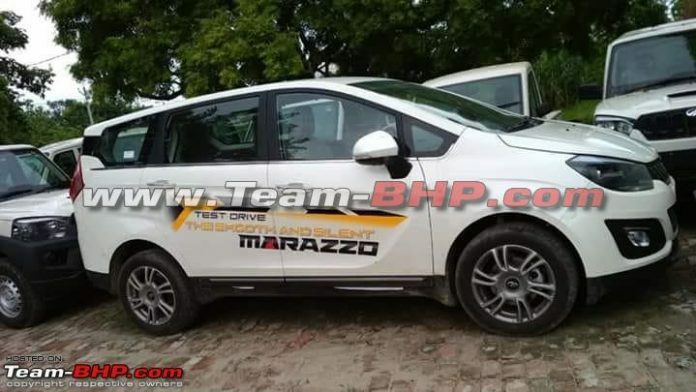 Mahindra’s upcoming MPV, the Marrazzo has started reaching dealerships already. 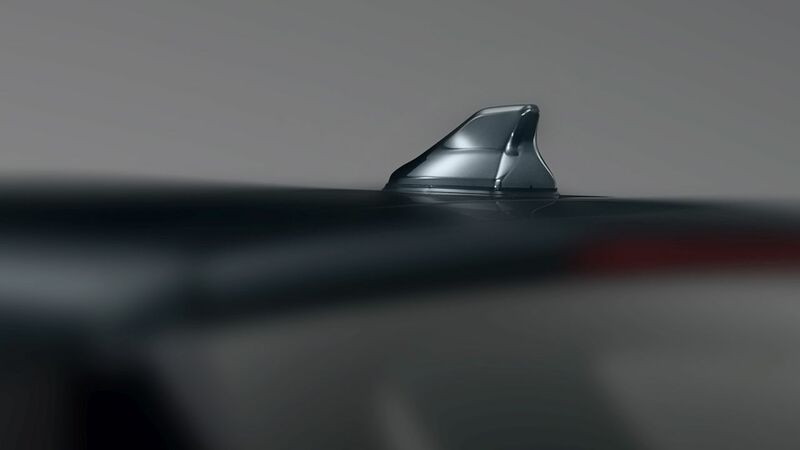 There are speculations that the car will be launched in the first week of September, mostly on the 3rd. The spy pics of the car parked in a dealer stockyard were shared on TeamBHP. 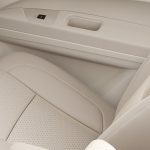 Further, additional pictures revealing more details on the interiors were shared by Autocar. 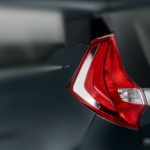 From the spy pics of the rear of the car, we now know that the variant names will begin with an “M” followed by digits for eg. M4 and so on. In terms of pricing, we can expect Mahindra to position Marazzo between Ertiga’s top end and Innova’s lower variants. Mahindra has many products in the pipeline including the SsangYong Tivoli based compact SUV (S201) and the new Rexton based SUV (Y400). 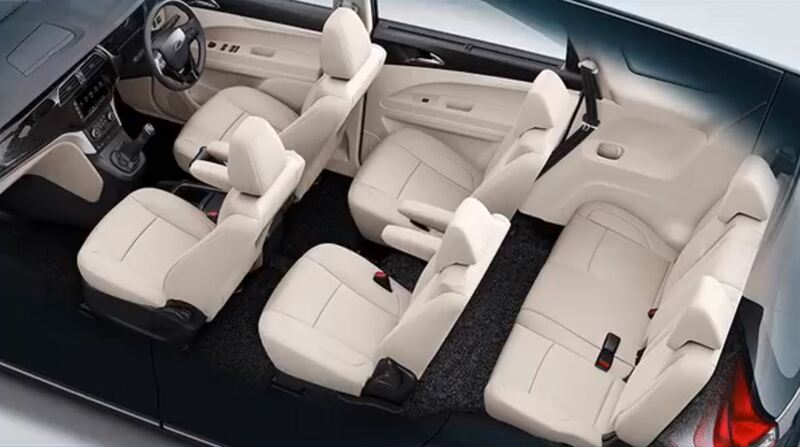 The S201 compact SUV is next in line for launch followed by Y400. 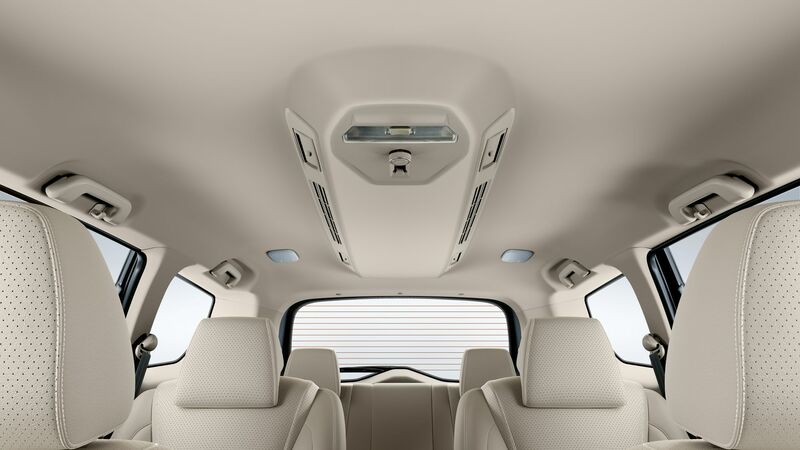 Over the past many days, Mahindra has been sharing different details around the upcoming MPV. We have added all of these to the article as well. The mid variant will feature five spoke and the top one will have precision cut alloy wheels. 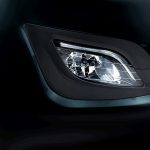 The headlight unit will feature a projector lamp and house indicator as well. 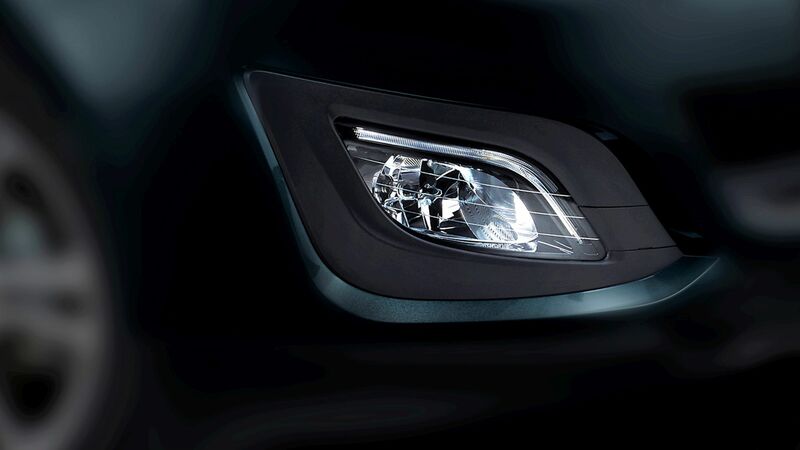 The fog lamp units will also house the DRLs. 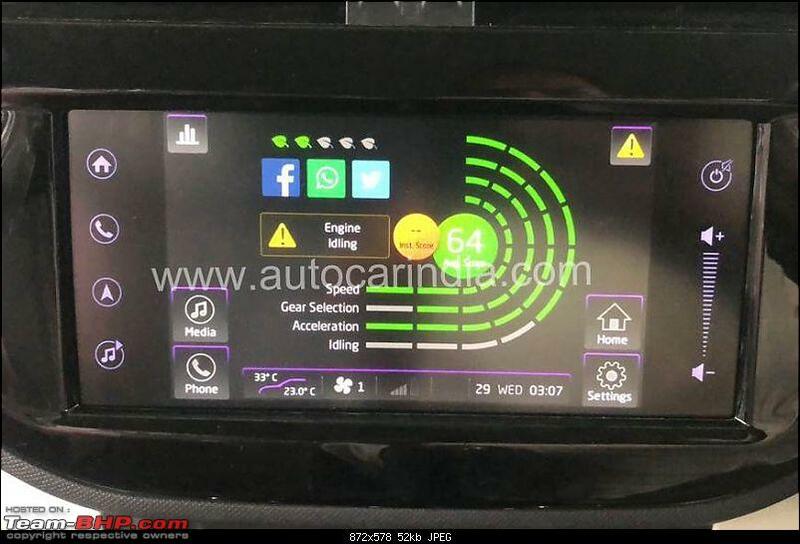 DRLs will be available only on the top end variant and the lower variants will give them a miss. 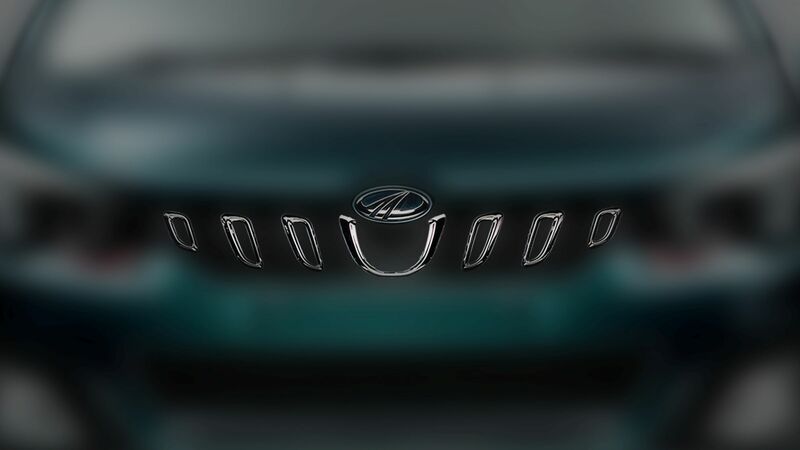 The overall stance of the car is high and it will have the longest footprint of all the Mahindra cars. The instrumentation cluster of the car will feature a large MID between the two round meters. 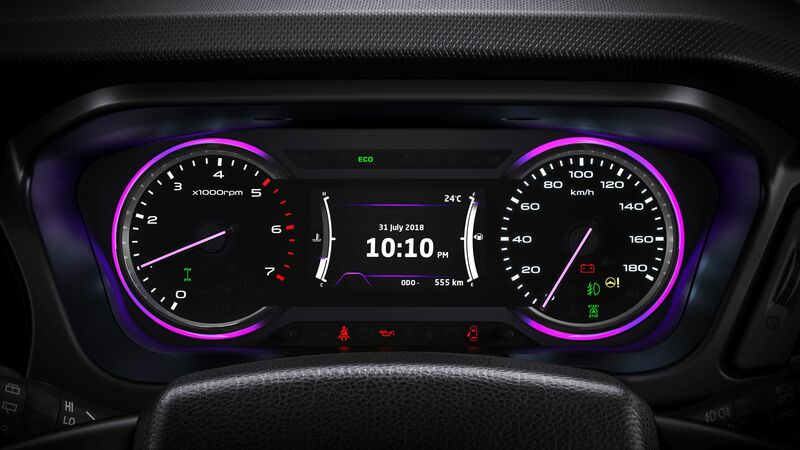 Also, the meters will be surrounded in a purple coloured light. The needles will also be lit in purple. 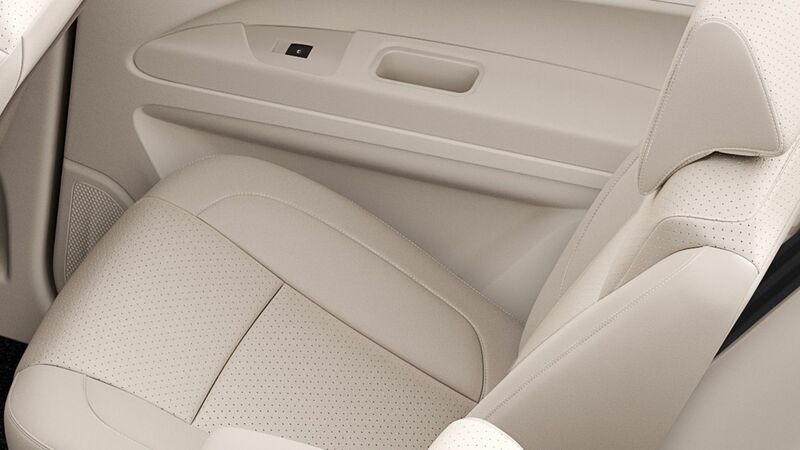 The interior will be in dual tone with a piano black dashboard. 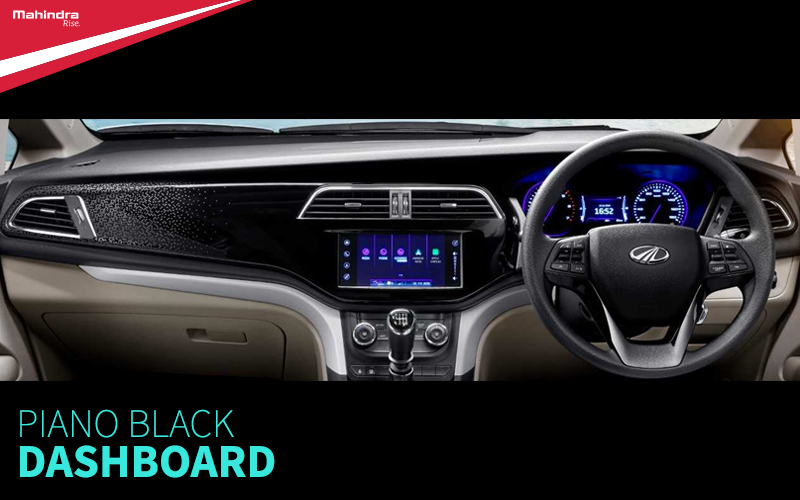 It will come fitted with a 7-inch touchscreen infotainment system with Android Auto & Apple Car Play. 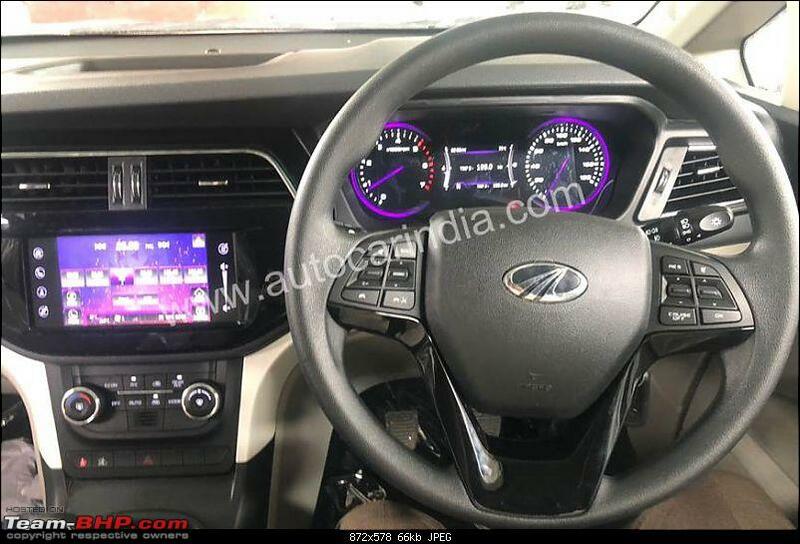 The car is also expected to come loaded with features like auto climate control, keyless entry, push-button start, steering mounted controls etc. If we have a look at the picture of the instrument console a light-sign for a 4WD system. 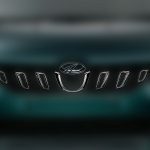 If this is true, Marazzo will be the first MPV to feature a 4WD system. There is one more sign in the dashboard for an auto start-stop function. 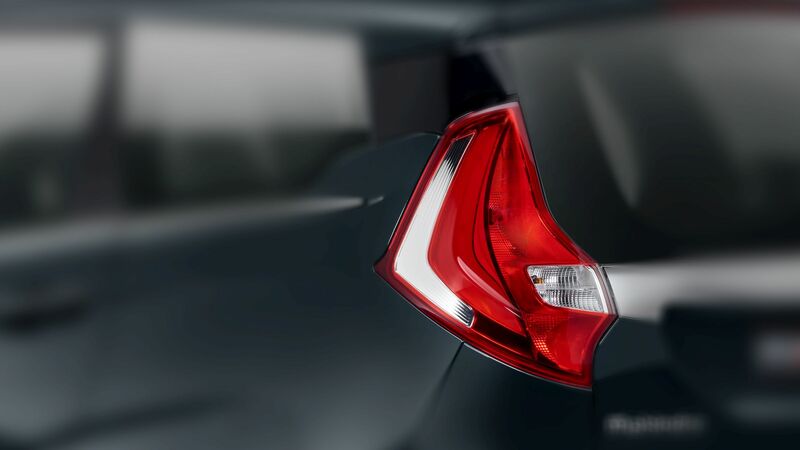 This means the car may come with Mahindra’s micro-hybrid technology as well. 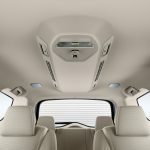 All these features will make it a premium offering from Mahindra. 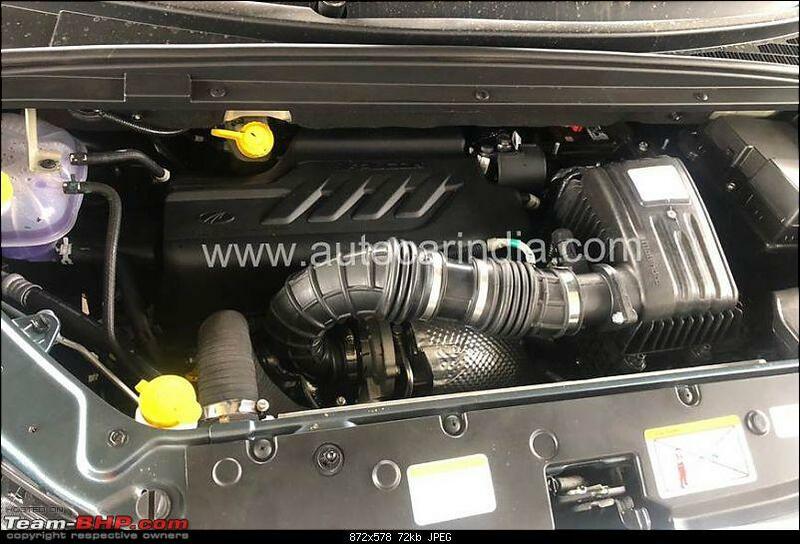 Marazzo will be powered by a 1.5-litre diesel engine producing around 130HP and 300Nm torque. It will come paired with a six-speed manual gearbox initially and an auto box may come later. 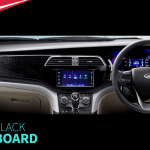 Mahindra Marazzo will be manufactured at Mahindra’s Nashik manufacturing facility and is based on a completely new platform. 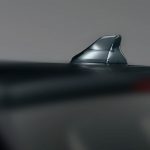 The car will be placed above Xylo, rather than replacing it. 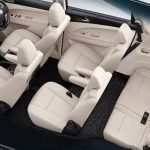 In terms of competition, the car will directly compete with Renault Lodgy & Maruti Suzuki Ertiga on the one end and Toyota Innova on the other.